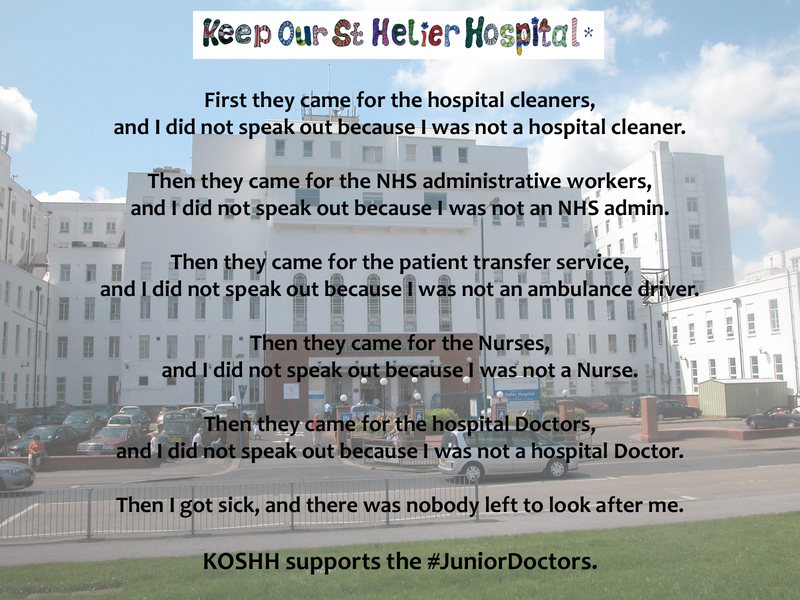 KOSHH supports the action taken by the junior doctors absolutely. Junior doctors are protecting our NHS by fighting a contract that is unsafe for patients and unfair to doctors. We're appalled that this government is lying to the public about weekend deaths being caused by under staffing so that they can push through a contract which removes the safeguards that prevent doctors working excessive hours. We believe that the real objective of the new contract in not about providing a 7 day NHS - which already exists - but about attacking doctors' terms and conditions to pave the way for further privatisation. The threatened imposition of the new junior doctor's contract, the consultation on the NHS mandate being kept quiet, and cuts to nurses bursaries, are all major indicators of the bleak future facing the NHS under this government. Jeremy Hunt recently called for "OFSTED" style inspections for the NHS. On his own performance, he should himself be in "Special Measures". We think it is a sad reflection of this Government in general and Jeremy Hunt as Secretary of State for Health in particular that they have managed to alienate and lose the trust of the profession. As a Cabinet Minister he has misrepresented mortality statistics and doctors' working hours (in this government) and nurses' pay (in the last). 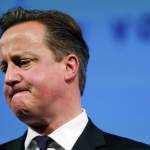 Under the parliamentary code of conduct there ought to be calls in the House of Commons for his resignation. A Public NHS which is publicly owned, publicly provided, publicly accountable and publicly funded through general taxation, to a level which sustains comprehensive and universal provision. That all hospital closure, reconfiguration and downgrade plans are dropped immediately. That Jeremy Hunt is sacked. 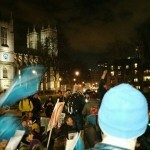 That the proposed new junior doctors' Contract be scrapped. That nurses bursaries be retained. 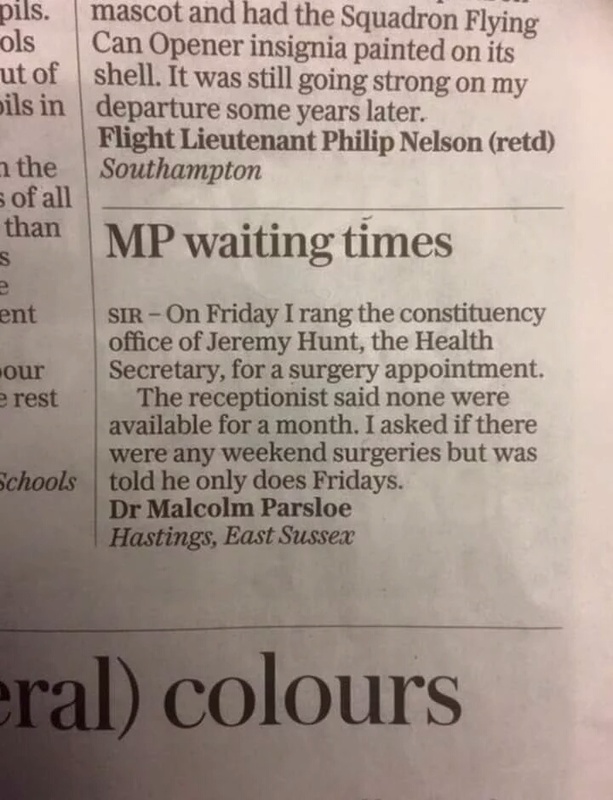 You never know when you might need a junior doctor to save your life. Is it really too much to ask that doctors are not forced to work unsafe hours, and are properly paid? KOSHH wholeheartedly supports the junior doctors in their struggle. Their fight, is our fight.